Gravity Industries now hopes to launch a racing series based around the use of its apparatus. 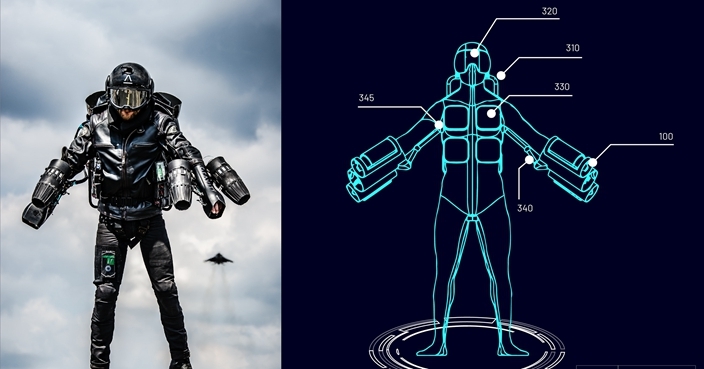 A British company has been awarded what it claims is the world’s first patent for a “jet suit”. Gravity Industries’ multi-gas turbine engine Jet Suit has been granted the right as the inventor of an apparatus enabling an individual to fly. Company founder Richard Browning has previously demonstrated the suit in more than 20 countries around the world and earned a Guinness World Record in 2017 for “the fastest speed in a body-controlled jet engine power suit”. He said the firm now hoped to launch a racing series based on teams using the suit to navigate courses. “Since launching Gravity in 2017, we have not stopped challenging the status quo,” he said. “Restlessly pioneering developments in STEM, today’s patent issuance is a giant milestone for Gravity which will enable us to continue to innovate and hopefully inspire others. 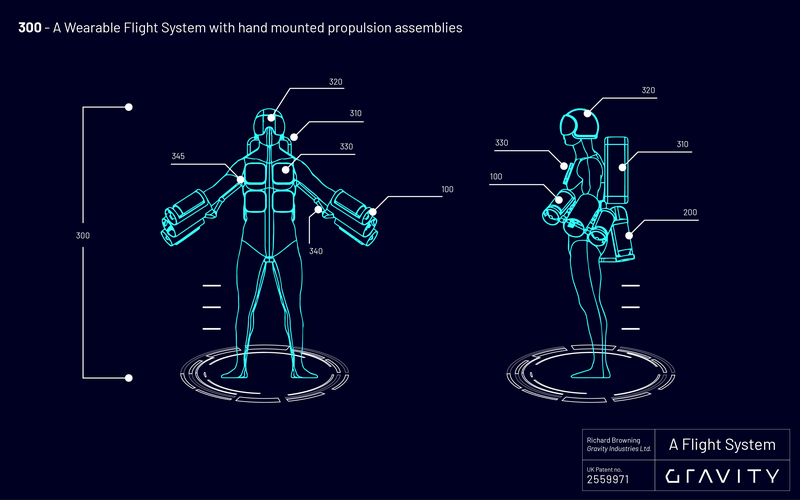 The patent, issued by the UK’s Intellectual Property Office, covers: “A wearable flight system with a number of propulsion assemblies including a left-hand propulsion assembly and a right-hand propulsion assembly worn on a user’s hands and/or forearm. 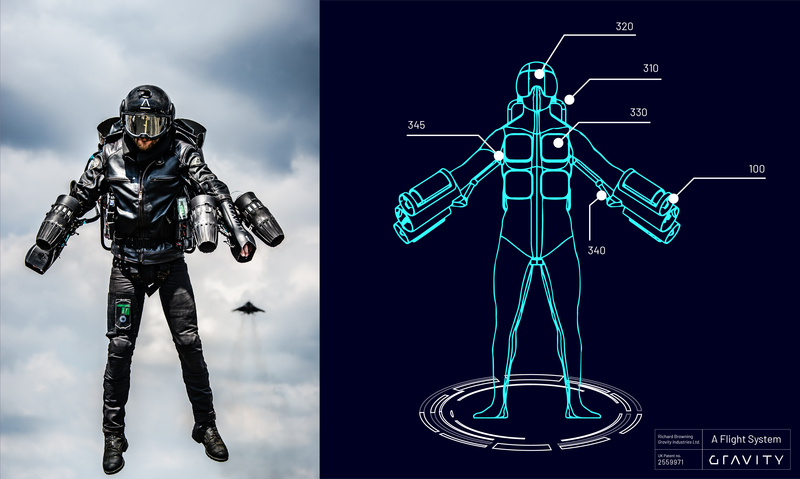 In documents that formed part of the patent claim, the company cited Marvel Studios’ Iron Man character and his use of a wearable flight system which utilises propulsion units worn on the hands. The Jet Suit uses five gas turbines which collectively produce over 1,000 brake horsepower to gain flight, and can reach speeds of over 55mph. The firm said it was already in “advanced discussions” with possible host cities, broadcasters and sponsors over launching its race series in the second half of 2019.